Editor's Note: This is the first of a two-part series by the author. To read part two, click here. Vistra Energy, the new owners of Luminant Energy, Texas’s largest electric generation company, announced recently that they intend to retire three large coal-fired power plants, including seven separate boiler units, in early 2018. Collectively, these seven units known as Monticello, Sandow, and Big Brown represent about 4,400 MW of power and a whole bunch of pollution. Indeed, according to self-reported data, these seven units emitted more than 25 million metric tons of carbon dioxide—about 10 percent of all carbon dioxide emissions from power plants in Texas—and 27 million pounds of nitrogen oxide. This number (again, 10 percent of all emissions from Texas power plants) is an astounding one. 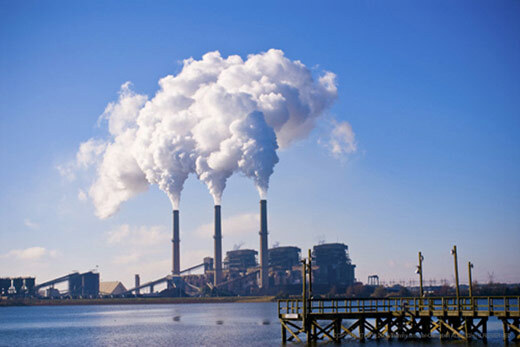 These plants also emitted 188 million pounds of sulfur dioxide, approximately one-third of all sulfur dioxide emissions in the power plant sector in 2016. Cutting these emissions will be of massive benefit to the environment and public health, particularly in nearby towns and national parks, lowering regional haze over our national parks and mitigating high sulfur oxide levels in local communities, all the while helping cities like Dallas, Fort Worth and Austin comply with federal health-based ozone standards. The enormous reduction of carbon dioxide in one fell swoop is welcome news to our climate-challenged planet. Indeed, with the growth of renewables scheduled for next year and the reduction in coal production, Texas will be well on course to meet its obligation to cut carbon dioxide emissions by about 30 percent. This target will happen well before the requirements of the Clean Power Plan (currently being put on ice by the Trump Administration) would kick in. Recently the Electric Reliability Council of Texas (ERCOT) staff completed their initial and final determination on whether there are any reliability concerns when the three announced coal plants actually stop producing electricity. ERCOT found there are no transmission issues to be resolved and these plants will retire. In other words, these dirty coal plants will close next year. Over a number years, if not decades, elected representatives, public health experts, environmental organizations, and community activists have been advocating the phase-out or upgrade (with modern pollution controls) of Luminant’s aged coal plants. Through new regulations and enforcing existing laws, environmental organizations such as Public Citizen, SEED Coalition, Environment Texas, Sierra Club, and others have joined with businesses and community groups (including Breath is Lyfe, a new effort in the city of Dallas’s Oak Cliff neighborhood) to fight for cleaner air and to clean up coal pollution. The combination of these proposed rules and lawsuits by Sierra Club and our allies has provided a constant drumbeat of pressure on Luminant and its owners to look at the economics of retirement as opposed to eventual upgrades. The Trump Administration, however, has put most of these regulations on hold thus they have not been implemented. Indeed, the Trump administration is busy attempting to undo these rules, even in the face of intense opposition. Federal Implementation Plan for Regional Haze? Replaced under Trump with essentially a do-nothing version. Expect lawsuits. Clean Power Plan? Frozen and being replaced with reportedly a minor tweak. Expect lawsuits. Stricter Ozone Standard? In place, but final non-attainment areas have not been named. Expect lawsuits. Sulfur Dioxide Non-Attainment Areas? No final non-attainment areas have been designated. Expect lawsuits. If it wasn’t the beast (e.g., new environmental regulations) that put the final squeeze on Luminant’s coal plants, what was it? It’s simple (well, the answer is complex but I’ll give you the short answer). It’s the beauty of the competitive marketplace combined with the rise of renewables. Low energy prices in Texas’s highly competitive energy-only market are apparently the major driver. Wholesale electricity prices have been low since 2013. Indeed, in 2016, the average prices paid by the market to electric generators were less than $25 per MWh, while an average coal plant generally costs between $30 and $35 per MWh to keep its doors open. A combination of a lack of price spikes due to continued investments in energy efficiency, demand response and new building code standards, low natural gas prices, and the rise of zero-marginal-cost renewable energy has put a significant dent in the ability of these coal plants to turn a profit. Then there is the rise of renewables. The Texas-size decision to invest in transmission lines from West Texas, combined with favorable federal tax policy for wind and solar, has led to massive growth. Indeed, the actual generation of wind has grown from less than nine percent in 2011 of total energy production to 17 percent in 2017. In fact, solar didn’t even exist as a utility-scale resource in 2011 in Texas but, in 2017, is averaging about one percent of the state’s power. Thus roughly 20 percent of electrons in 2017 that were previously produced by coal and gas plants are now being generated by clean energy resources. And evidence from the “queue” at ERCOT is startling. The state’s energy future will be driven by sun and wind—evidenced by the fact that about two-thirds of all proposed plants that are being studied for potential interconnection are wind and solar resources. Sun and wind resources will be supplemented by natural gas plants (approximately 30%), with a smattering of electric battery. So, the big question is what happens next? Will these coal plants retire in 2018 and, if so, how will these closings affect market prices? How will these actions affect the conversations at the Public Utility Commission in regard to “changing” our market? What is Project 47199 and what does it mean? Will the state have enough operating reserves to keep the lights on? Will more coal plants call it quits? Will the entire system crash and burn?